The monster became an islet, a rock, a reef; but a reef that was shifting, vague, and slippery. 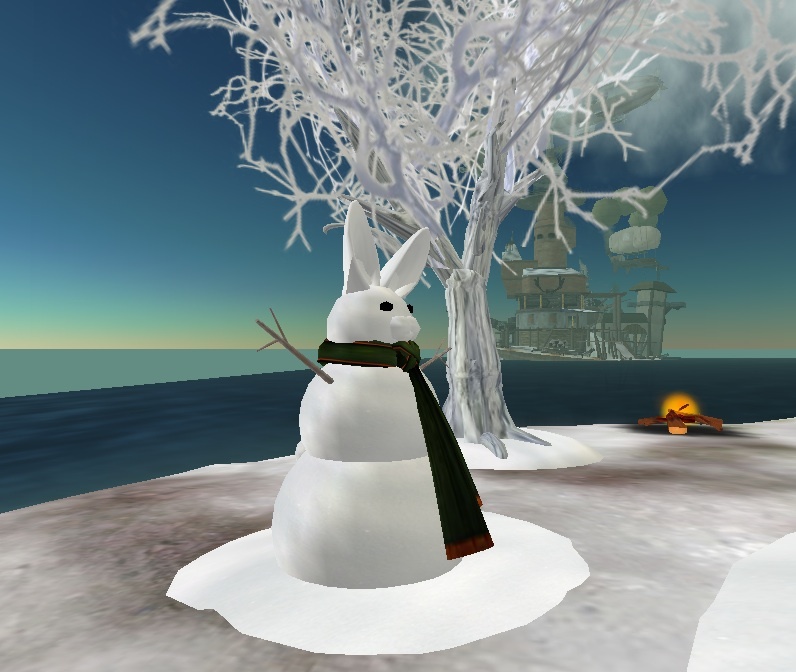 A bunny named Kandace Commons lives in the Vernian Sea, Babbage's fourth sim. 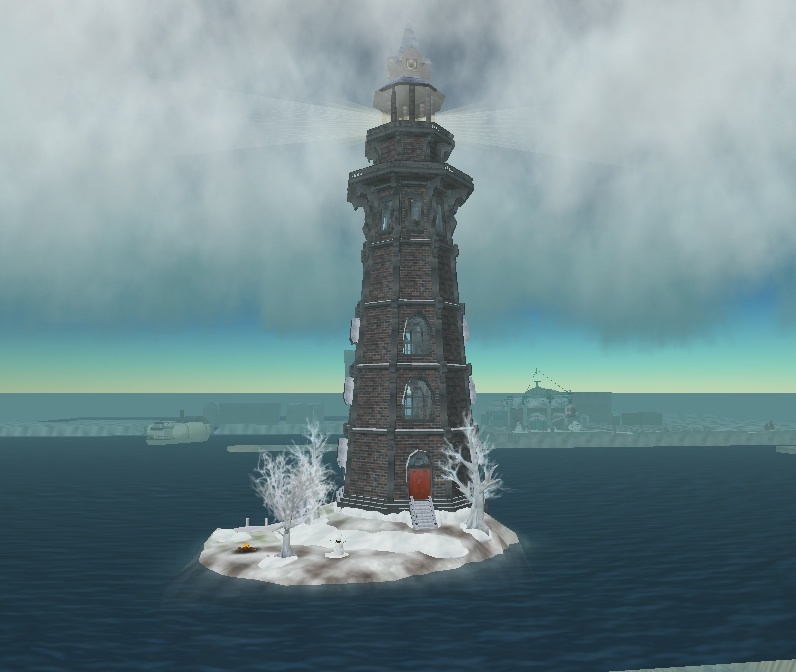 She runs a steam-powered light house, one that she built herself. It towers high above the underwater domain. 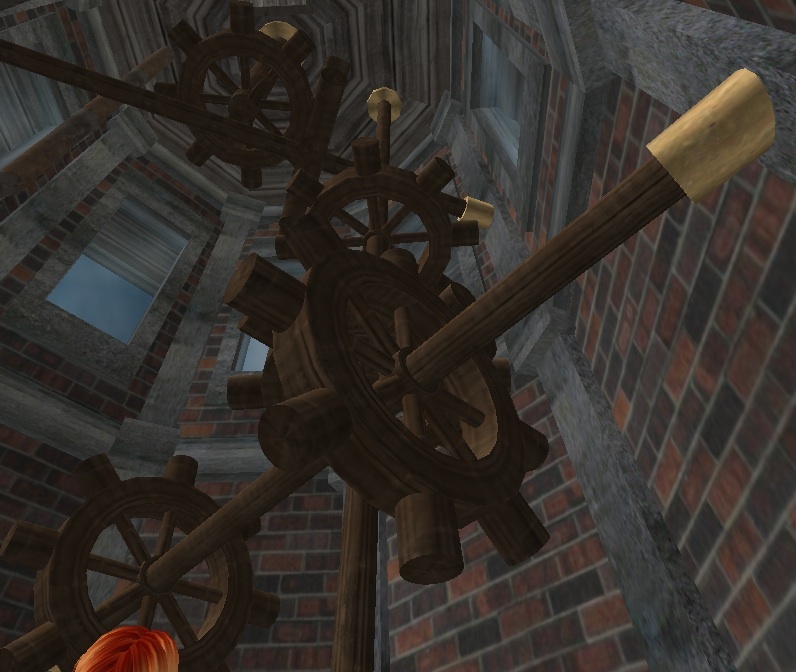 Her house is a glorious build, full of ladders and gears and lookouts and other things that make my heart...hop. Kandace is wearing Bare Rose's Charade frock, (Bare Rose, 143, 27, 30). Said the bunny: "I had a friend who is a math wizard help me with some of the math algorithms for the connecting rod. It's scripted so that I can give it any speed to run the engine, and it figures out all the positions and rotations itself, rather than using a puppeteering system. The lights look fabulous in Windlight, because they actually glow." 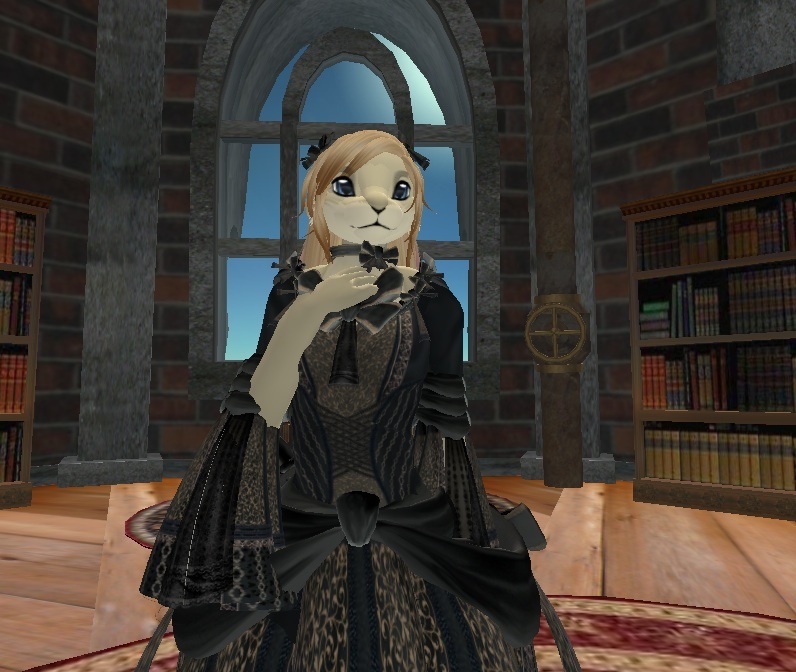 Good places in Second Life seem to be not just well-made, but atmospheric too, so that you can see a story as well as the thing. Standing up on the lighthouse felt lonely and adventuresome all at once, looking out over the sea like a pulp explorer. My journey left me with this question: Do snow bunnies dream of steam-powered blowtorches? Strangely enough I had bunnies on my mind when I went home. The bunny was a skating party gift from hyasynth. Neato, eh? The fine potbellied stove is from Balderdash.